Hello everyone! I’m going to be blabbing about my skin again today.. I’m sorry! 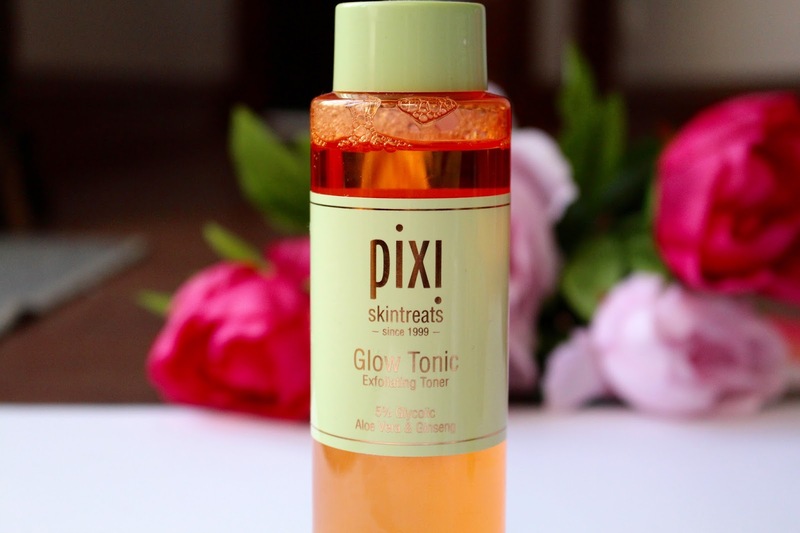 I feel like I’ve been using the Pixi Glow Tonic for such a long time but I genuinely just haven’t been able to make my mind up about it. When I first used this my skin wasn’t having the best of times and I feel like it really wasn’t the right time for me to be using this product. I know so many people love this and swear by it in their everyday routine but my experience was a little different. Initially I found it made my skin really dry, it made my dry patches worse and my skin just felt totally off balance. I was using it everyday, but for me I think thats just too much. I know its supposed to be less harsh than a manual exfoliator but my skin just didn’t take very kindly. The idea is that the acid in this exfoliates your skin and removes and dead skin cells from the surface, not that I’m a crazy scientist with all the information. I actually stopped using this for about a month when I took my skincare routine back to basics and finally once I felt things had settled down I re-introduced this back into my routine. I find it works best for me if I use it once or twice a week, I can’t use it continually but I’m okay with that. My skin likes a lot of moisture and I think this is too harsh for it to handle all the time. From using it a couple of times a week my skins texture has improved a lot. I know I’ve been using the Clarisonic too, but even before that I found this toner was making a difference. I find its particularly good and fading the scarring I have left behind from my acne and when I use it, its very refreshing too. I think skincare is such a difficult thing to talk about as everyones skin is completely different, I would definitely suggest if you’re thinking about trying this to maybe slowly introduce it into your routine rather than going in all guns blazing like I did. I’ll definitely repurchase this again when I start to run low, as I really think its a great product – I just had to find the right way to use it for my skin.